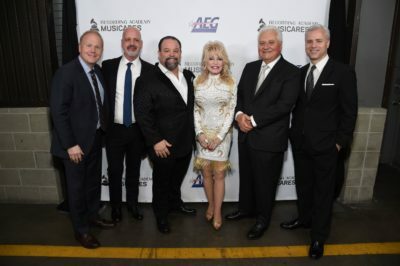 The agreement takes in songs from across Parton’s entire career, including the record-breaking “I Will Always Love You,” the Billboard Hot 100 chart-topper “9 to 5,” country No. 1 hits such as “Jolene,” “Love Is Like A Butterfly” and “Two Doors Down” and newly-written compositions. It covers North America and territories not covered by existing sub-publishing arrangements. Parton’s own first hit as a recording artist soon followed, beginning a run of success that has included 25 Billboard country No. 1 hits, more than 50 Top 10 country songs and a record 44 Top 10 country albums. Many of her hits were self-composed, including the Billboard Hot 100 chart-topper “9 to 5,” “Joshua,” “Jolene,” “Love Is Like A Butterfly,” “The Bargain Store,” “Two Doors Down,” “Coat Of Many Colors” and “Do I Ever Cross Your Mind.” Her classic song “I Will Always Love You” reached No. 1 on two separate occasions for Parton before being recorded by Whitney Houston for the film The Bodyguard. Houston’s version became the biggest-selling single by a female artist of all time as it topped charts around the world, including 14 weeks at No. 1 in the United States.